Cognito Motorsports Stage 1 Leveling kit using torsion keys and includes front and rear Fox shocks for your 2011-2018 GMC/Chevy Duramax 6.6L LML/L5P diesel. Cognito Motorsports Stage 3 Leveling kit using torsion keys, upper control arms, shock extenders, and front & rear Fox shocks for your 2011-2018 GMC/Chevy Duramax 6.6L LML/L5P diesel. Cognito Motorsports Stage 4 Leveling kit using upper control arms, torsion keys, front and rear Fox shocks, shock extenders, and Cognito pitman and idler support kits for your 2011-2018 GMC/Chevy Duramax 6.6L LML/L5P diesel. 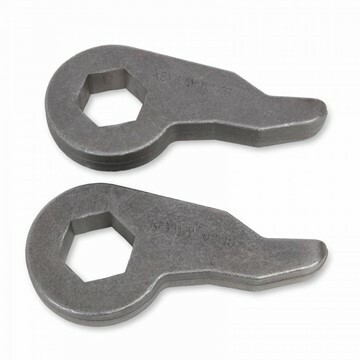 Cognito's torsion bar adjuster key kit for 2" of lift for your 2011-2019 GMC/Chevy Duramax 6.6L 2500HD/3500HD 2/4WD truck with the LML/L5P motor. 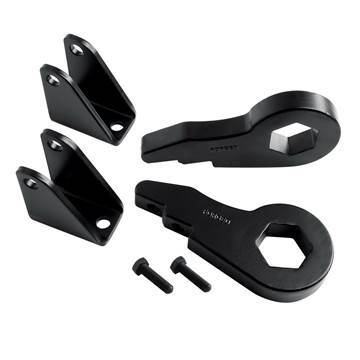 Cognito's torsion bar adjuster key kit for 2" of lift for your 2001-2010 GMC/Chevy Duramax 6.6L 2500HD/3500HD 2/4WD truck. 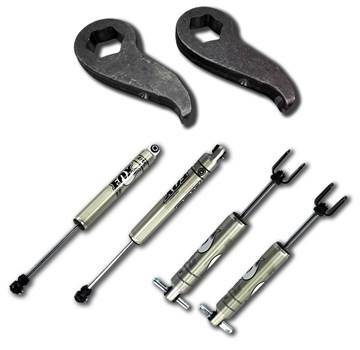 2001-2010 GM 6.6L Duramax LB7 LLY LBZ LMM 2WD - This kit is a "non-torsion bar drop" design which keeps the torsion bars in their original location rather than hanging down under the chassis. 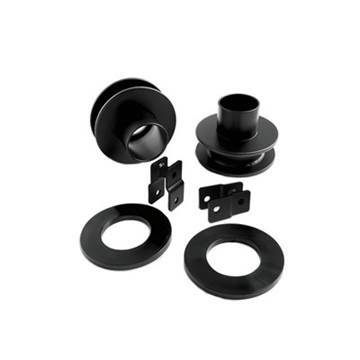 Includes pitman/idler arm support kit, sway bar end links and more. 2001-2010 GM 6.6L Duramax LB7 LLY LBZ LMM 4WD - This kit is a "non-torsion bar drop" design which keeps the torsion bars in their original location rather than hanging down under the chassis. 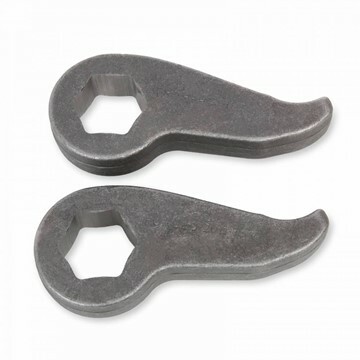 Includes pitman/idler arm support kit, sway bar end links and more. 2011-2019 GM 6.6L Duramax LML L5P 2WD - This kit is a "non-torsion bar drop" design which keeps the torsion bars in their original location rather than hanging down under the chassis. 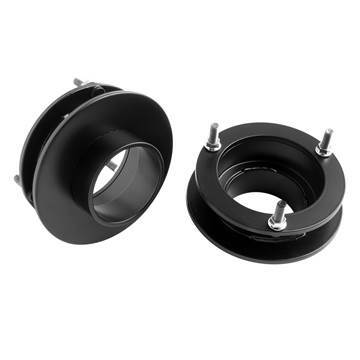 Includes pitman/idler arm support kit, sway bar end links and more. 2011-2019 GM 6.6L Duramax LML L5P 4WD - This kit is a "non-torsion bar drop" design which keeps the torsion bars in their original location rather than hanging down under the chassis. 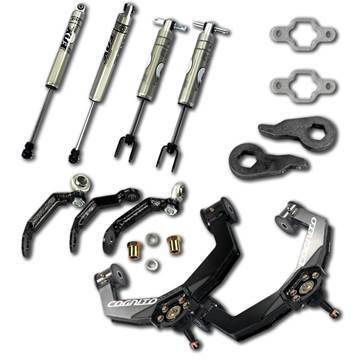 Includes pitman/idler arm support kit, sway bar end links and more.